Your family depends on clear, clean, quality water every day. WaterCare® products ensure safe and pure water for laundry, dishes, bathing, cleaning, cooking, drinking, and daily life! 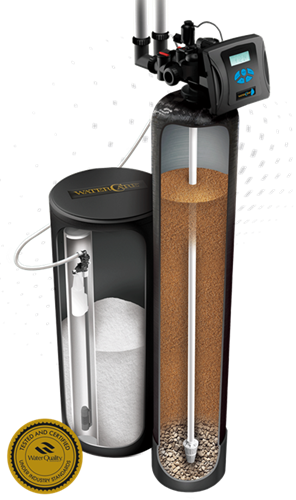 CareSoft Elite® is a top-of-the-line water softener, equipped with a high-performance resin that effortlessly reduces the toughest of minerals. 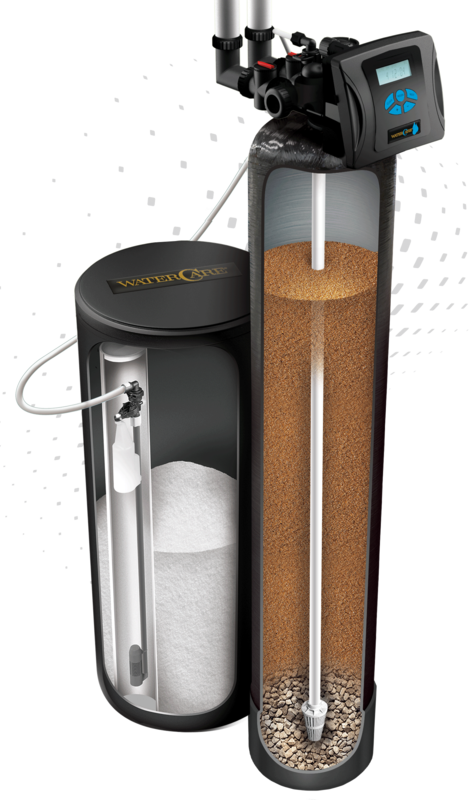 With a patented chlorine generator, our superior systems also provide an automatic cleaning cycle. CareSoft Elite® systems are compatible with our convenient WiFi technology, Wripli® and provide maximum savings with our Water Efficient Technology, W.E.T.™. CareSoft Elite® has numerous configurations to choose from. The standard model is perfect for handling hard water issues. The CareSoft Elite RC® model is designed to hold both carbon and resin, which is great for filtering out odors and softening water. Both options are also available as twin units for complete coverage day and night. 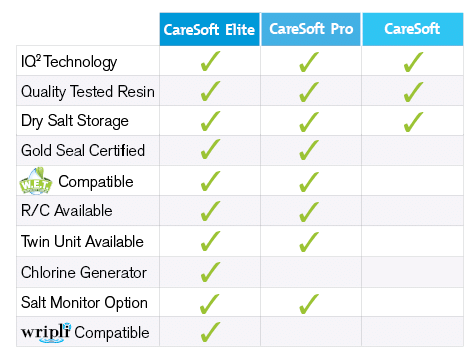 CareSoft Pro® is a smart choice – since it uses the same quality resin as the Elite system, you can rest assured knowing that you can trust its water softening capabilities. When equipping this system with our Water Efficient Technology™, you maximize your savings on salt and water, while also making it one of the most efficient systems on the market! CareSoft Pro® can be purchased as a standard resin softener, a split-tank resin/carbon softener for double the efficiency, and as twin units for treated water 24-hours a day. Hardness minerals can cause plumbing issues and diminish the efficiency of your appliances – making water softeners an essential element in today's homes. Investing in a water softener helps prolong the life of your appliances and your home overall. The CareSoft® system was developed with the same advanced engineering as the Pro and Elite models, with resin that delivers high-performance hardness removal you can count on for years to come.